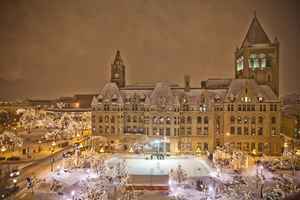 Wells Fargo Winter Skate and Rice Park Powered by Xcel Energy Minnesota kicks off Saint Paul’s winter activities on November 17th. The Grand Opening features local music, free skate rentals, fireworks & more! There will be activities in the park beginning at 3:30p that will culminate with Fireworks and the tree lighting at 6:45p. Public skating will begin at 7p. Landmark Plaza, adjacent to Rice Park in Downtown Saint Paul.